With school starting soon and the holidays right around the corner, it’s great to have a few freezer meals tucked into away for those crazy busy days you know are going to be coming. 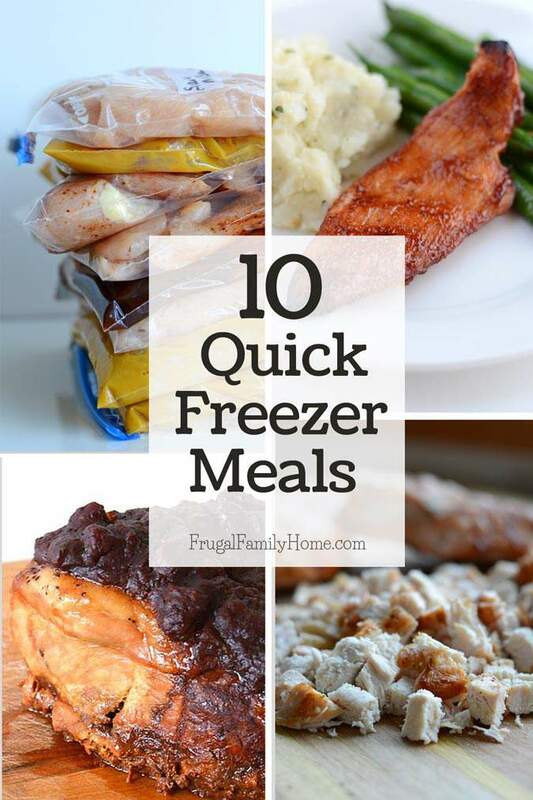 Freezer cooking doesn’t have to take all day, you can make these 10 quick freezer meals and have your freezer stocked. I love having freezer meals on hand, it’s so easy to pull a dinner pack out of the freezer the night before. Let it thaw and then cook it. All the assembly is done. Making dinner is that easy. You might even have time to sit a read a book or put your feet up and relax on the evenings you use your freezer meals for dinner. All the freezer meals I make are really easy. I don’t want to spend a whole day or weekend making meals, to be so tired and cranky from being on my feet all day cooking, that we end up eating out. These recipes are ones you can get assembled in a couple of hours or so. Yes, just about a couple of hours, a third of your meals for the month can be done. I know amazing, right! 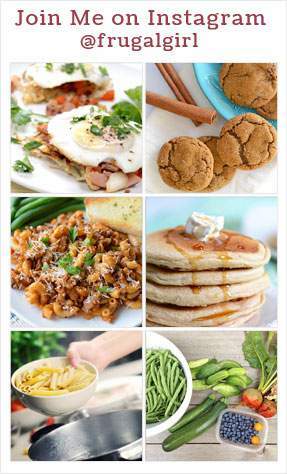 All of the recipes below are recipes my family loves to eat. 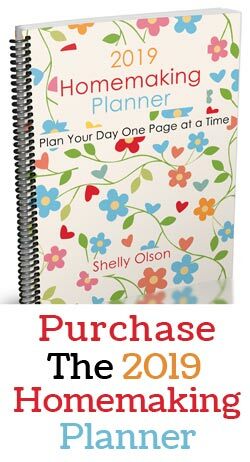 Most of them have their own page with the recipe you can print out. The ones that don’t have their own page yet, have the instructions right here on this page. A few of these recipes have options to precook them before freezing. I find it’s easier to cook the stromboli and meatballs at the time of assembly. The rest of the meals I make, freeze and then cook the day of serving. By making my freezer meals this way, I don’t have much cooking to do at all during the assembly day. Plus if you cook extra meatballs or stromboli you can have dinner out of the way for assembly day too. Woohoo! This barbecue chicken recipe is so easy to make. It can be prepared in the oven, on the grill, under the broiler, or in the slow cooker. I make this recipe all year long since I can adapt how I cook it to the season we are in. Another quick chicken freezer recipe that is so easy, you’ll wonder how good can it be since it’s so simple. But let me reassure you, even my picky “I don’t like chicken, except chicken nuggets” eater will eat this chicken without complaint and even ask for more. 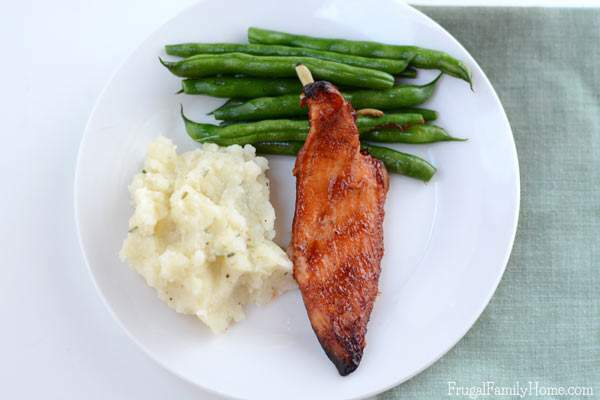 This recipe can be prepared in the oven, on the grill, broiled or in the slow cooker. Great for all times of the year as a main dish or on top of a big salad. Who can resist pizza? I don’t know too many people who don’t like pizza but freezing a whole pizza can be tricky to find enough freezer space. That’s why I make mini stromboli to freeze. If you don’t like making your own pizza dough, Trader Joe’s has it and I hear it’s very good. I can also find pizza dough in the refrigerated section of Winco Foods. 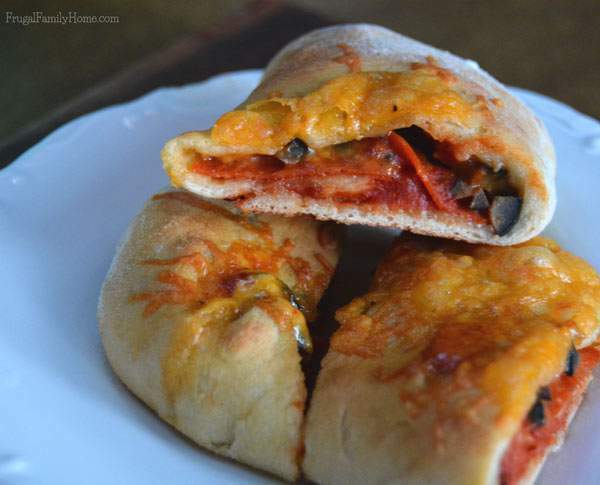 You can also purchase pizza sauce and pre-shredded cheese to make these come together a little faster. This recipe can be baked on the assembly day or wait and bake when you are ready to serve. When I make this dish I’ll bake it and then divide it before it goes into the freezer since one 9 by 13-inch pan makes two dinners for us. But if you have smaller baking dishes or use foil pans you could make the enchiladas in the right size pans for your family. If you are looking for a refried bean and chicken enchilada freezer recipe, you can follow this one. Prepare as the recipe states and then freeze before or after baking. Brown 1 pound of hamburger and drain fat. Add a can of black beans and stir to mix. Open a large can of enchilada sauce or make your own and grab 8-10 tortillas. Spread a little enchilada sauce in the bottom of your baking pan. Add some of the ground beef and bean mixture to a tortilla, roll up and place seam-side down into the baking pan with the sauce in the bottom. Do the same for the rest. I usually get 8-10 enchiladas. Pour the rest of the enchilada sauce over the enchiladas. Sprinkle with cheese and bake 350 degrees for 30 minutes. Cool in the refrigerator before wrapping and placing in the freezer. Or if you aren’t baking on the same day as assembly day. Wrap the pans without baking and freeze. If not precooked, thaw and bake at 350 degrees for 30 minutes or until heated through. When I make meatballs for the freezer I like to make sure they will work in quite a few dishes. 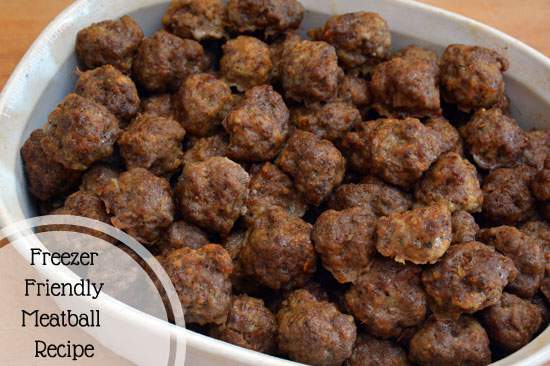 With this freezer friendly meatball recipe, I can use them to make slow cooker teriyaki meatballs and hoisin meatballs. But they are also great on hoagie rolls with a little cheese and pasta sauce for meatball subs or add them to pasta sauce in the slow cooker for an all-day simmered spaghetti sauce when you get home. This recipe makes quite a few to stock your freezer for a while. This is another super easy chicken freezer meal. To make French Dressing Chicken sprinkle the chicken with salt and pepper (we use chicken thighs or boneless skinless chicken breasts) to taste. Then add it to a freezer bag. Chop 1 onion and add it to the freezer bag too. Finally, add in 1/2 cup French Dressing to the chicken in the bag and seal and squish the bag a little to distribute the dressing evenly. Label bag and freeze. Thaw and then place in the slow cooker. Cook over low heat for about 8 hours or until the chicken is cooked through. Or the chicken can be baked in a shallow baking dish at 375 for about 30-45 minutes or until cooked through. This is another super easy chicken recipe. Just add the marinade to the bag and add your chicken it’s really that easy. 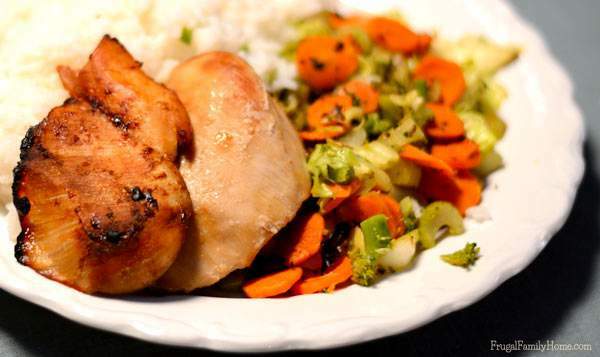 You can find the full recipe for teriyaki chicken here, or if you don’t want to make your own teriyaki sauce, you can purchase it at the store instead. This recipe is a yummy fork and knife burger, no bun needed for these slow cooker BBQ burgers. To prepare for the freezer, take one pound of ground beef and shape into patties. Sprinkle with salt and pepper. Stack the patties with a piece of waxed paper between each hamburger patty wrap in plastic wrap and freeze. In another zipper bag add 1/2 cup of BBQ sauce and 1/2 cup of Ketchup. Stir to mix. Seal and place both the sauce and the hamburger patties in a freezer bag. Label and freeze. Thaw the hamburger patties. In the slow cooker add the sauce. Add the thawed patties to the slow cooker and nestle into the sauce. I also spoon a little sauce over the top of each one. Then cook over low heat until the burgers are cooked through about 6 hours. Not only is this freezer recipe good for dinner it makes a great lunch too. It’s vegetarian but if you want to add cooked beef or chicken to it you can. Take one can of black or pinto beans, add in 2 cups of cooked rice, mix to combine. Add a tablespoon of taco seasoning or 1/4 cup of salsa and mix well. Add the beans and rice mixture to tortillas and roll up into a burrito. Repeat with another tortilla until all the filling is gone. I usually get 7-8 burritos. Wrap burritos individually in plastic wrap or foil and place into a zippered freezer bag. Label and Freeze. Thaw burritos and bake on a cookie sheet at 350 until heated through for a crispy burrito. Or microwaved thawed burritos for 30 seconds on one side, flip and microwave for another 30 seconds on the other side. Check to see if heated through, if not heated through, microwave at 30-second intervals until heated through. This is another super easy recipe for the freezer. 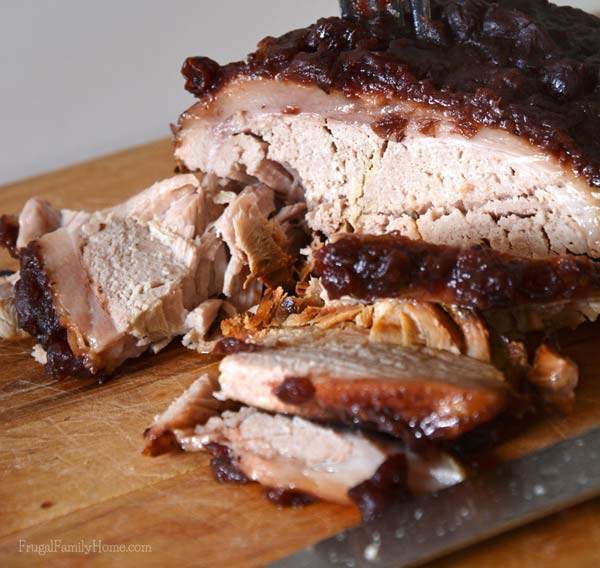 You can find the full cranberry pork roast recipe here. To adjust it to a freezer recipe all you need to do is sprinkle the pork roast with the seasonings. Add it to the freezer bag and then add the cranberry sauce on top. Freeze until ready to prepare. Thaw until completely thawed. Remove the roast from the bag and place into the slow cooker. Add the cranberry sauce on top and cook as described in the recipe. This is a great recipe to have on hand when you know you’ll have company coming. It tastes and looks fancy and no one needs to know how easy it is to make unless you want to tell them. I find that when I make a variety of freezer meals, we don’t get tired of eating them. I usually make the freezer meals when I find the meat on sale and stock my freezer. If you do the same with these recipes before long you’ll have a nice variety of freezer meals to draw off of on those busy days. And you can avoid spending money on eating out too which will be good for your grocery budget too. 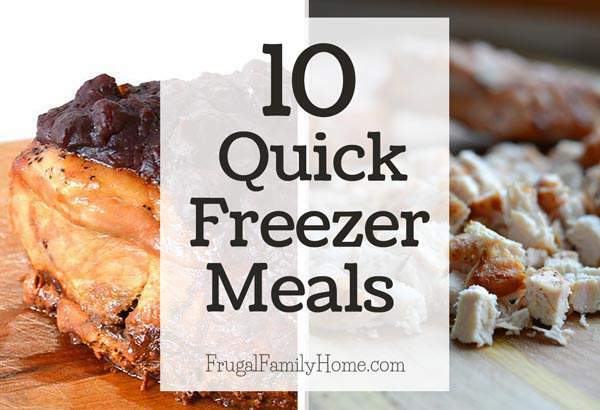 Which one of these quick freezer meals would your family like for dinner? 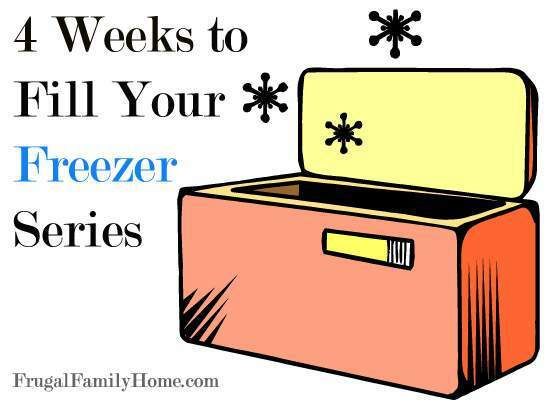 Thanks for the great list of meals to make for the freezer…I think it will be a great help to getting dinner on the table on busy nights.